A great addition to your carbureted Rhino 450/660. Highly recommended for use in any Rhino with engine performance modifications. In any performance application, sufficient fuel supply is critical to maintain proper air/fuel mixture. 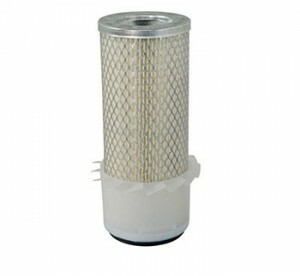 Performance applications can exceed the stock fuel pump’s flow capacity, starving the fuel bowl. Worse yet, this lean condition can cause engine component damage and overheating. Not an everyday driver of your Rhino, and in fact it sits for periods of time between rides? No problem. 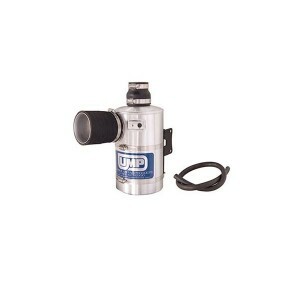 With an electric fuel pump, gone are the days of grinding the starter over and over, waiting to fill the float bowl. With this pump, turn the key and wait a couple of seconds, your float bowl is full and you’re ready to rock & roll with you Rhino. SEE PRODUCT DETAILS BELOW! A great addition to your carbureted Rhino 450/660. 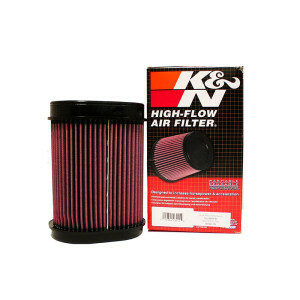 Highly recommended for use in any Rhino with engine performance modifications. In any performance application, sufficient fuel supply is critical to maintain proper air/fuel mixture. Performance applications can exceed the stock fuel pump’s flow capacity, starving the fuel bowl. Worse yet, this lean condition can cause engine component damage and overheating. Not an everyday driver of your Rhino, and in fact it sits for periods of time between rides? No problem. With an electric fuel pump, gone are the days of grinding the starter over and over, waiting to fill the float bowl. With this pump, turn the key and wait a couple of seconds, your float bowl is full and you’re ready to rock & roll with you Rhino. Compact, light weight, and easy to install. 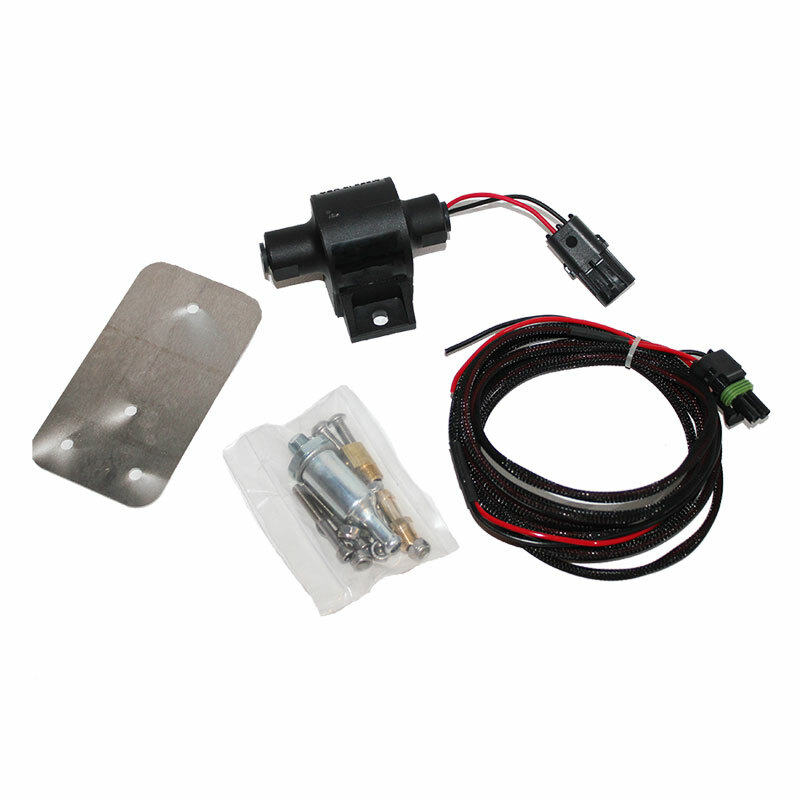 Auxiliary fuel filter, barbed fuel line fittings, mounting plate, and wiring are included. This kit mounts the fuel pump low, right next to the gas tank. This mounting position minimizes the pump’s need to ‘pull’ fuel from the tank, and virtually eliminates the fuel from bleeding back into the tank. No longer does the pump have to ‘prime’ itself with fuel. 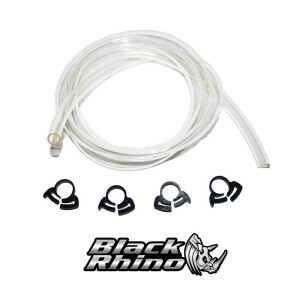 This is a complete kit, including necessary wiring, fitted specifically for the Rhino. Uses the factory fuel lines. Please note: When wiring this kit to a 12V power supply, we strongly recommend against splicing into the stock wiring harness. For example, we have seen many use the hot wire from the ignition switch to run accessory items, and have seen numerous problems with this approach. Instead, use a fuse block or other type of power distribution block that gets power directly from the battery, and not from the stock wiring harness.